A non refundable down payment of £100 is required to secure your booking, with the balance to be paid six weeks prior to the start of your holiday. In addition, a £100 damage payment is required, to be paid with the final balance. This will be refunded to you one week after departure providing there is no damage. ONCE YOU HAVE STAYED AT HARBOUR VIEW 74 YOU WILL NOT WANT TO STAY ANYWHERE ELSE!! Most mobile homes are nothing like this one!!!! 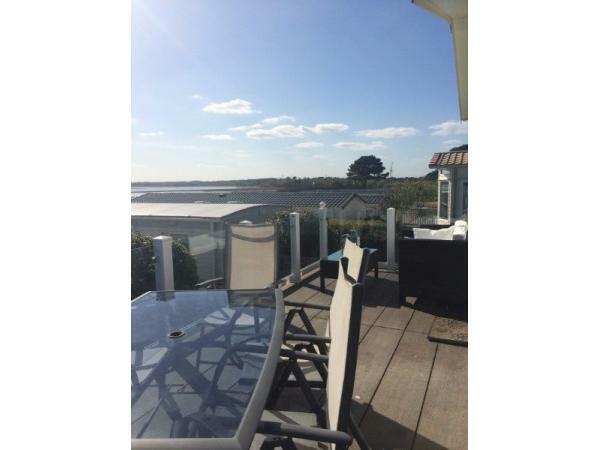 Situated on one of the largest plots on Haven holidays Rockley Park this holiday home benefits from sensational views of Poole harbour from the large balcony and open plan living area. There is plenty of parking for at least 3 cars plus a large sheltered garden for children to play away from the road. 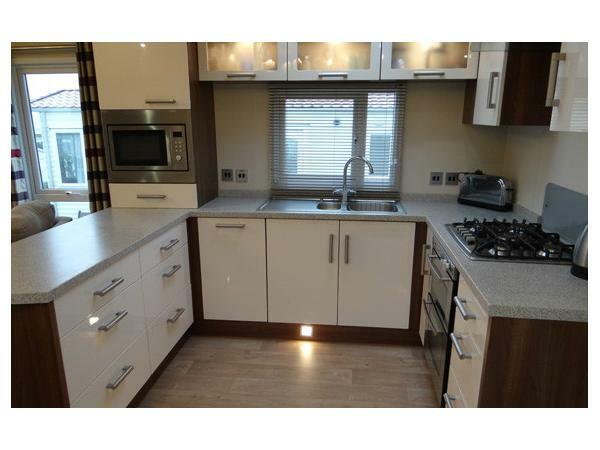 The caravan is contemporary in style with large lounge with open plan well equipped kitchen. a home from home. we have stayed here a few times and its our first choice always booked up with no probs and will be back next year???????????? This is the fourth time we have stayed in Annette’s caravan and each time we cannot fault it. The location on the park is perfect with a large garden to the side and the view from the balcony is lovely. The caravan itself has everything you could ever need and is very clean. Annette is so helpful and communication is excellent. We cannot wait to come back again next year. Harbour view 74 carers perfectly for all. As a family with a young child the addition of a bath, dishwasher and washing machine came in very useful. 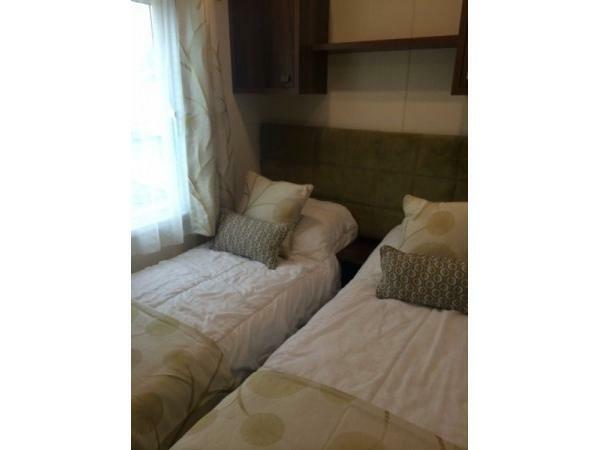 It's a beautifully kept spacious caravan with lots of outdoor space and stunning views. I wouldn't hesitate to book again if we choose to return to Rockley park. 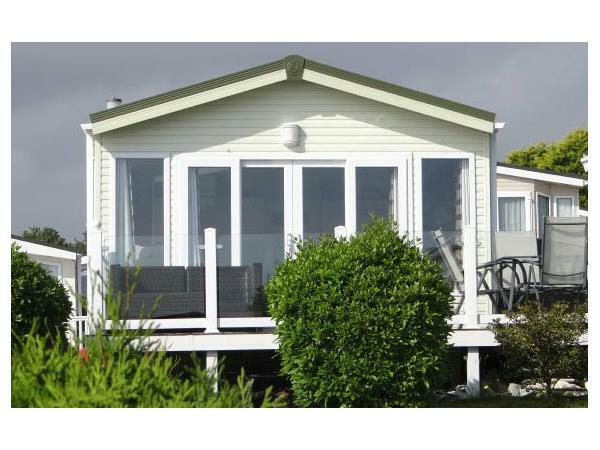 A beautiful caravan in a lovely, quiet location, with a lovely view, and everything you could possibly need in this comfortable caravan. Owners very helpful all the way. We're hoping to book again for next year. Thanks for the fabulous comments. You are welcome back any time. We've just returned from a fabulous week in Annette's gorgeous caravan. Having been in numerous Haven Platinum caravans I hoping this caravan would be of the same standard, well I have to say it was above and beyond anything we have previously stayed in. This has everything you could possibly need and more. It was immaculate both inside and out, it is absolutely perfect. Annette has been great since my initial enquiry of a availability, after this fantastic family holiday I would never book with anyone else! Annette, thank you again for everything. We will, without a doubt be back in touch for our next holiday at Rockley Park. 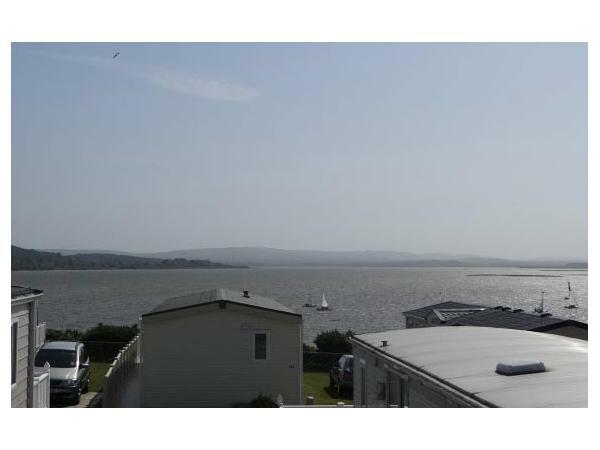 Lovely caravan, clean and very comfortable.Had everything you need,short walk to beach and the views are stunning. Hope to book again next year. We had lovely holiday with our daughter husband and grandchildren. Caravan and view amazing really made the holiday. Very clean and had everything you needed. 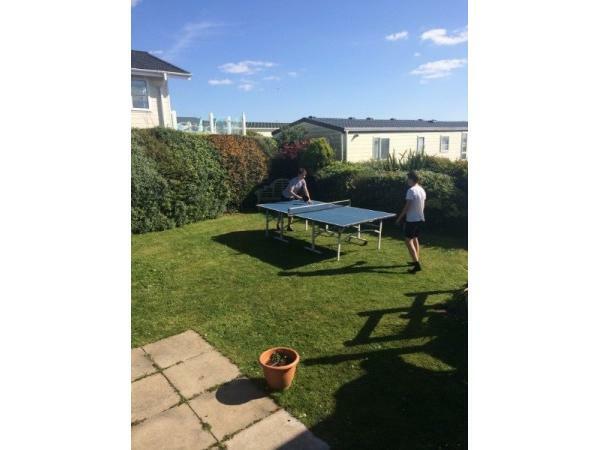 The outside space was good enjoyed playing table tennis and a safe place for the children to play. Short walk to beach which was also very nice. Lovely caravan idyllic views. Will definitely be back. Thank you very much Anita. Can only echo all above reviews. Lovely caravan, beautiful location and lovely views. 4 year old grandson really enjoyed himself especially Hamworthy beach. 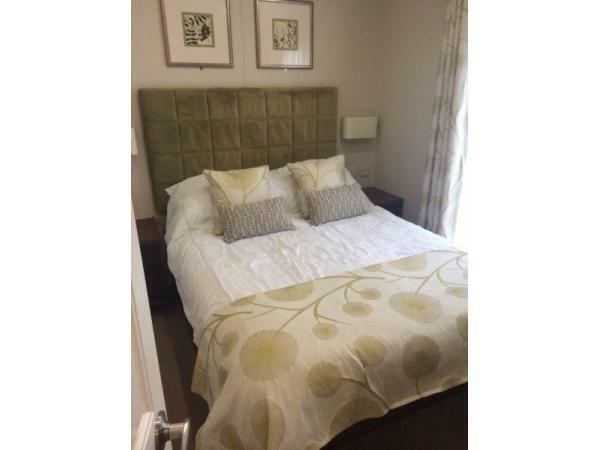 Good choices of days out within a short distance and good facilities within walking distance. Hope to rebook next year if school holiday slot available. Had a fantastic long weekend with family. The caravan is lovely with many extra's and added luxuries including a dishwasher and washer/dryer which was great, it's in a quiet position with a big veranda and wonderful views. Our grandson really enjoyed the table tennis table which was a bonus too. Annette was very helpful and accommodating in letting us book the long weekend, would definately love to go back next year. Thank you. 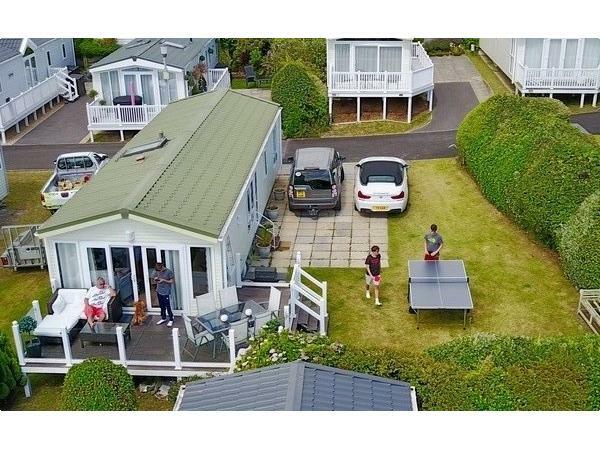 Fantastic caravan with stunning views and equipped to a high standard, booking was easy and all the information was provided and well explained. Would highly recommend this to any one,thanks for a great holiday. Eloise Viles age 7 years. I really liked the caravan and i did not want to leave ,It was big,wide and pretty,My sister and I cried when we had to go. I liked the garden because ther was a lot of space to ride my bike and I liked the pretty rooms. Adrian Viles Age 47. fabulous,One of the best caravans at Rockley Park would highly recommend. what an amazing caravan, well equipped of everything you would need (home from home) a very large parking/play area to the side, wonderful views and probably one of the best pitches on site will be booking again next year, with thanks again. Just returned from our second holiday to this caravan and like last year, it was perfect again. We cannot fault the caravan at all, it is incredibly clean, in a perfect location and has everything you could need and more. The garden is very large to the side which our children loved and the view from the decking is amazing. We sat out every night enjoying the sea view in such a peaceful part of the site. The owner is so friendly and helpful throughout the whole booking process. We will definitely be returning again and again, it really is the perfect caravan in the perfect location. 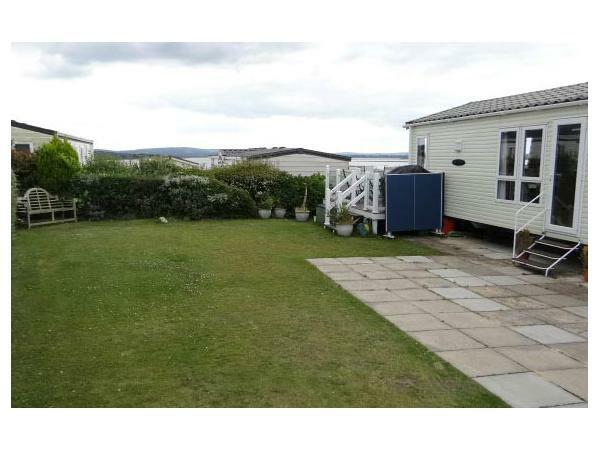 Superb caravan with great views from veranda, comfortable homely clean and tidy. Easy booking with the owner kept me informed at all times with my booking. Had a fantastic time thanks for a great Holiday will book again, absolutely loved it highly recommend. A fantastic holiday home and friendly, courteous owners. We returned from our stay, very sad to have had to leave. The caravan itself was simply stunning, the plot (with it's own garden to the side) and the views were fantastic. The decked area was lovely to be able to sit on an watch the sun go down in the evening and have breakfast on in the mornings. As a family with a toddler, it was such a luxury to have a dishwasher and also the washer/ dryer. There was a wide range of both crockery, utensils and cutlery in the kitchen (really well stocked). We even had a lovely welcome drink surprise when we arrived (such a lovely touch). Also, having a bath was such a bonus and again made holidaying with our toddler much easier. The position on the park was lovely and quiet and it was only a five minute walk (if that) down to the nice little beach and play park on site. I truly can not recommend this caravan enough, and have already passed on the details to some of my friends with young families. Finally, just to touch on the correspondence/ booking process. From start to finish, Annette has been wonderful and provided us with all the necessary information and responding extremely promptly. Our security deposit was refunded almost the same day we left (though obviously I can not guarantee this service for everyone, but it was certainly our experience) Really hope we can book in for sometime next year, as it was perfect. Amazing caravan luckily we had almost a full week of sunshine. Very modern caravan with a lovely view of the bay and sunsets, far enough away from the amenities for a nice quiet nights sleep, even our daughter slept like a log. Plenty of space for three cars if needed and a nice walk to the yacht club. Make sure you take a fifteen minute trip to sandbanks the beach is amazing! Well, what can we say apart from what a fantastic holiday we have just had in this truly amazing caravan! We cannot fault it at all, it was perfect. The views are absolutely stunning, the garden is huge and the caravan itself has everything you could ever need and more. Our two young children absolutely loved it, they had a real adventure. We will definitely be returning, I wouldn't want to go anywhere else now that we have found this. Thank you. Absolutely fantastic caravan! Couldn't ask for better! 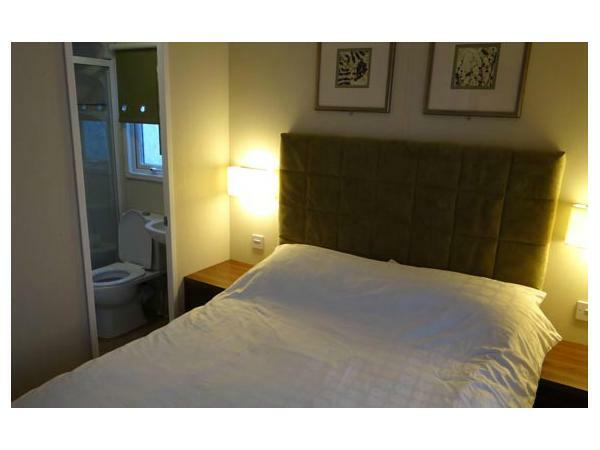 Wonderful sea views, great location. Fantastic outside at area for the children, safe, quiet area of the park. Cannot fault. Owners are wonderful and helpful too!!!! Having just come back from Rockley Park, we would love to book again. The 'van was the best we have ever stayed in - including our own!- It was a quiet location, but within easy access to the centre of activity. It was comfortably furnished to a high spec.and the weather was with us to enjoy a glass of wine or two on the comfortable verandah with a lovely view of the lake. Loved it!!!!!!!!!!! What a fab holiday we have had. A perfect caravan in a quiet part of the park, near to the beach overlooking the harbour, you could sit and watch the lovely view for hours from the veranda. Light and airy, well stocked caravan, the dishwasher was a great holiday extra and the washer/dryer a godsend with a young child. The outside garden was perfect and safe for our son to play around in and the addition of a table tennis table was a pleasant surprise. The owner was efficient and helpful all the way along - thanks for a great break. Would recommend to anyone. What a fab holiday we have had. 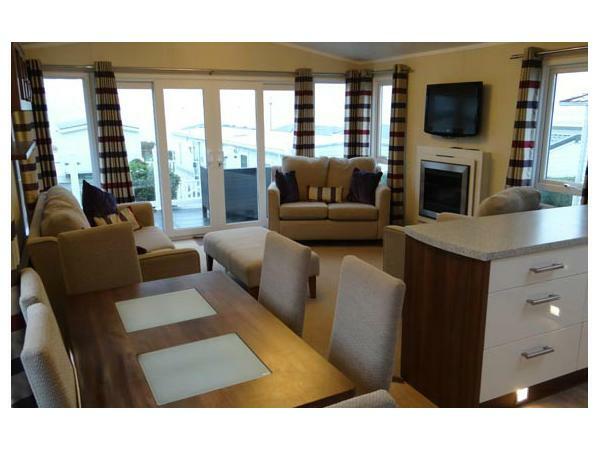 Caravan is perfect in a quiet part with gorgeous views over the harbour, you could sit on the verandah for hours. Luxurious and spacious inside, with a young child the washer/dryer was a godsend. As was the fab garden outside to run around in and the addition of a table tennis table was a nice surprise. The owner was efficient and helpful all the way along. Would recommend to anyone. We would love to go back.